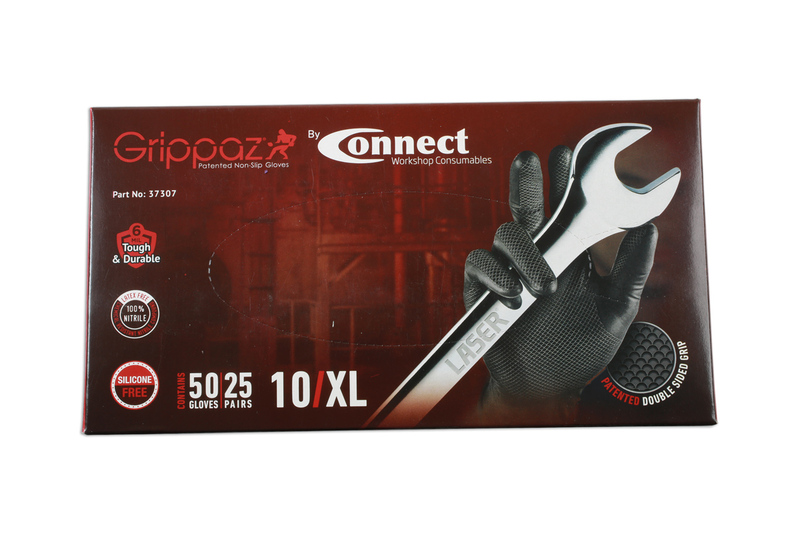 Grippaz use a specially formulated nitrile compound that gives unrivaled grip when handling grease, oils, detergents, solvents & water. US Patent No's D735, 968S & 9,730,477 B2. EU Certificate of Registration Design Number 001 402432-0001 and 396204-001. Available in medium (37305), large (37306) & extra large (37307). AS SEEN ON TV. Worldwide Patent 'fish scale grip technology' along with Patent on the thumb grip design. 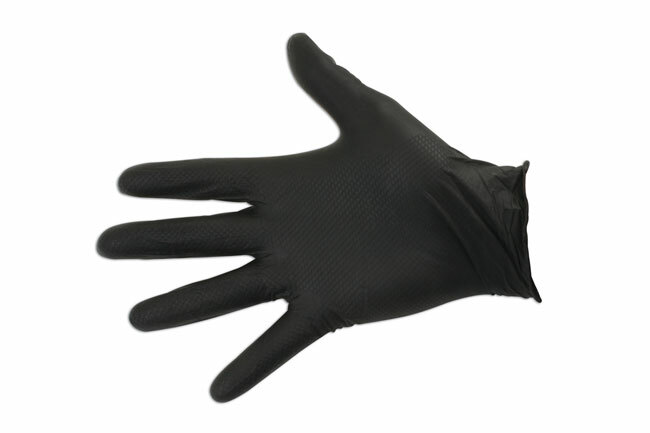 100% Silicone FREE Nitrile glove made in a Silicone FREE factory. 100% Nitrile - Latex Free, no added fillers so sweating is prevented. Chemical resistant , can be washed or wiped clean. SATRA tested to perform UP TO 5 TIMES BETTER in oily, greasy, dry or wet conditions. First glove to also have grip technology inside the glove to add to the overall grip. Made with 'Touch Screen Technology' so devices like smart phones, tablets, diagnostic equipment etc can be used without having to remove the gloves. Gloves are 3 times thicker than a standard Nitrile glove. Gloves are slightly undersized than traditional sizes due to the fact that after 3 minutes of wearing they warm up and mould to the hand to give a secondary skin like feel. 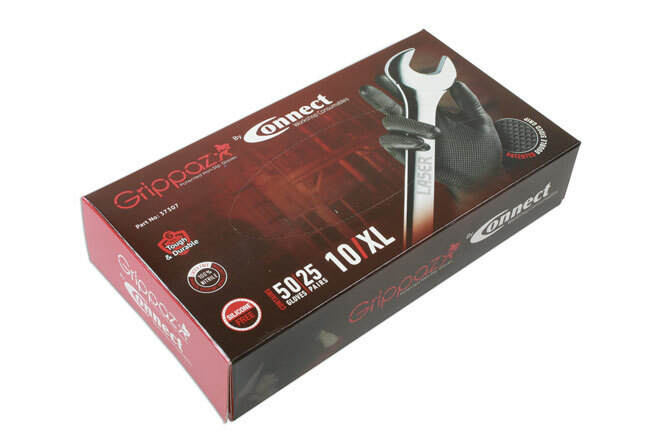 Made with an oversized cuff to enable the easy removal of the glove once its moulded to the hand. Gloves are a cost saving product due to the same pair of gloves can be worn throughout the day rather than having to change them several times a day. Ce gant est breveté. Ecaillé aussi bien sur la paume que sur le dos permettant une adhérence accrue. Le pouce du gant est breveté et offre une section écaillée qui agripe du bon coté. Plus épais que des gants classiques, il sera plus résistant au choc et à l'huile. Il conserve néanmoins la sensation du toucher et fonctionnera avec des écrans tactiles.